An interesting and important discussion is being launched here by kitchen design expert and SBID member Darren Morgan. This blog appeared in Modenus, one of SBID’s media partner for which Darren contributes regularly. Please feel free to leave a comment below. For more information about Darren, his work as a kitchen designer, writer and speaker, please contact him through his website. ‘I, like many, understand the power of hope and the bitterness of disappointment. The everyday exchanges that make up our lives are potentially loaded with both these emotions. But no matter how proactive we are in trying to protect our hope from disappointment, inevitably sometimes our valiant efforts are unsuccessful! The funny thing about hope is that you only experience it when looking forward while disappointment always occurs in the present or past. It therefore seems appropriate as we look back at 2011 to consider the impact of both disappointment and hope upon the kitchen industry. It is true that one of the main disappointments of 2011 has been the inability to shake off the global debt crisis which has not only hung around like a bad smell but has decided to act like an evil hobgoblin and dig its claws deeper into an industry that is reeling from an uncertain Euro zone. This uncertainty has stifled opportunities; well any that involves spending money, and even if corporate cash has been spent, those responsible for signing the cheque may well decide to change their mind as uncertain financial fear spreads like a disease. There have been one or two high profile companies who have decided to rethink their investment lately with Indesit deciding to abandon visionary plans for Scholtès UK and Lechner deciding to consolidate their efforts as opposed to spreading them wider. But sometimes the darkness of disappointment can encourage us to look for the light of hope in places and ways we never imagined. Adaptation in the face of adversity is a basic human evolutionary principle that can be applied to our lives and our work. Although these shock disappointments cause further uncertainty and fear they also create gaps and market opportunities for other brands. Because of wider economic pressures and disappointments the kitchen industry is now undergoing a pubescent change. Gone are the good old days where companies could have it how they liked, acting like spoiled kids who didn’t need to adapt or change. The kitchen industry is currently undergoing a period of introverted reflection and beginning to appreciate core values which will make it stronger in the future. And this new found maturity is certainly offering hope. With less money around in the economy the kitchen industry is now driven by a clear need to deliver stylish value. And this determination brings with it better products, better service and better design. We are currently in the process of redefining the evolutionary path of kitchen design and therefore the industry as we know it. Technology is driving the change with manufacturers using it to increase efficiency and market share. The products delivered by the flamboyant research and development budgets of the past are now being reconsidered, adapted and transformed in order to make them better and more cost effective. This is particularly evident in the production of laminate materials where choices and design options have bounded forward giving designers a cost effective alternative material to work with. The change in market conditions may also see a long term re-investment in Western industry as Eastern manufacturing regions like China may not seem as economically appealing to large scale producers. For years kitchen designers have been seen as a consequential by-product of kitchen sales but now design is finally being accepted as a fundamental part of the process. 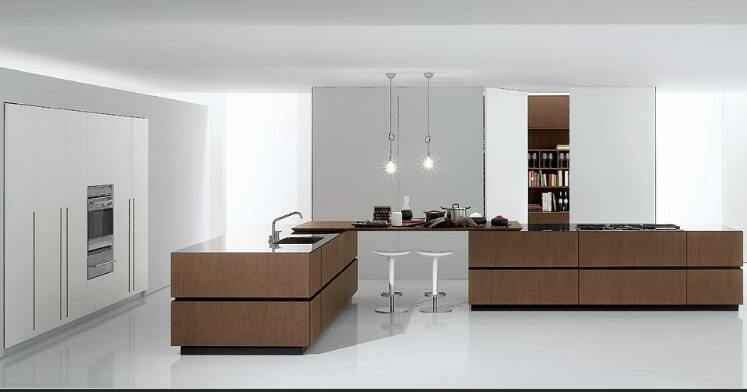 2011 has seen a surge in the number of associations and groups focused on the promotion of kitchen design as an important and influential discipline. Although it is disappointing that these groups appear to have different approaches and objectives, their very existence does provide hope for the future, encouraging new talent to get involved and changing the public perception of the lowly kitchen designer. Because of the new importance given to kitchen design as a facilitator of sales software companies are investing heavily in order to make their products better. A major hope for the future is that 3D technology will begin to redefine the interface between retailer and consumer allowing designers creativity to flourish and consumers understanding to grow. The advancements in 3D technology will not involve standing in a showroom wearing funny glasses either as the technology already exists to experience 3D without them. Clients will experience kitchen design in an augmented virtual reality where they can use online resources and Apps to create photorealistic visions of their future space. Imagine using your iPad as a window into the future, allowing you to stand in a pre-fitted architectural space and appreciate the post installed results. Simply by moving and rotating the iPad you will be able to see what your new kitchen will look like before it is even made. These advancements may well impact the current retail model with showrooms becoming smaller and in some cases, virtual spaces! The reality of remote showroom accessibility and newly “qualified” kitchen designers acting as design and product translators may well be just around the corner! Who said change wasn’t exciting!